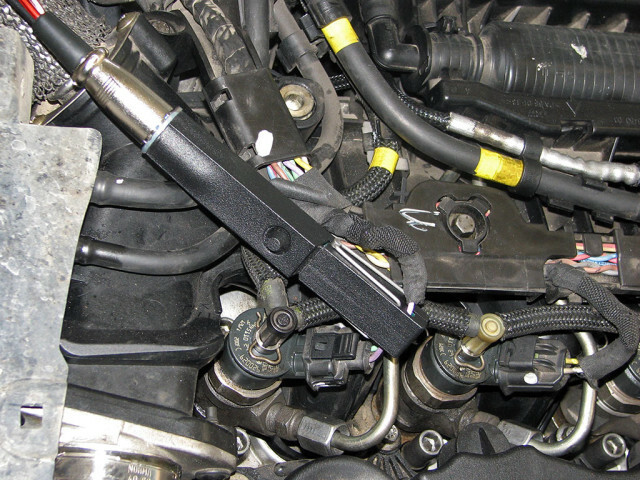 Typical location of the fuel injectors. Connection of the needle probe in order to get the voltage waveform in the fuel injector control wire. 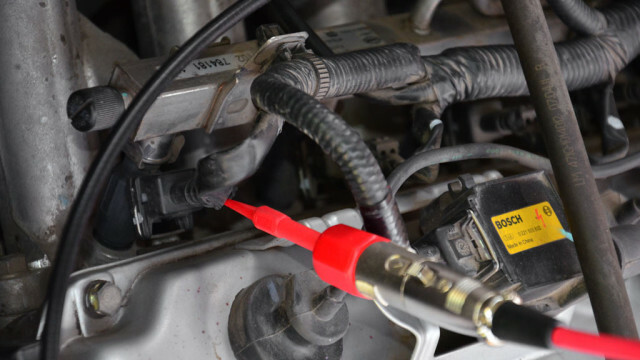 Connection of the current transducer in order to get the current waveform in the fuel injector control circuit. 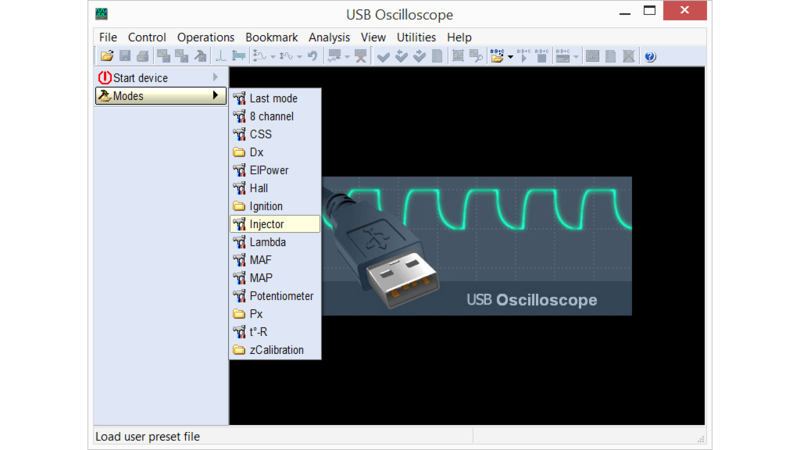 Setting the USB Autoscope IV to the injectors testing mode. 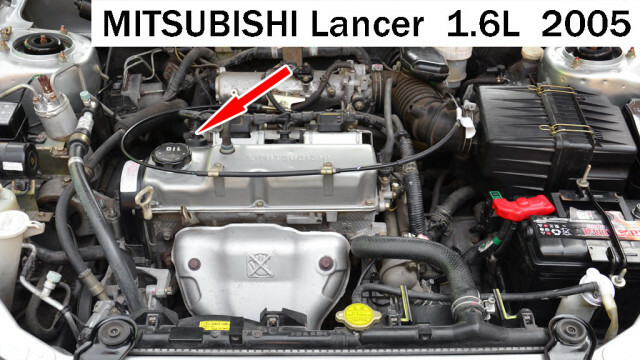 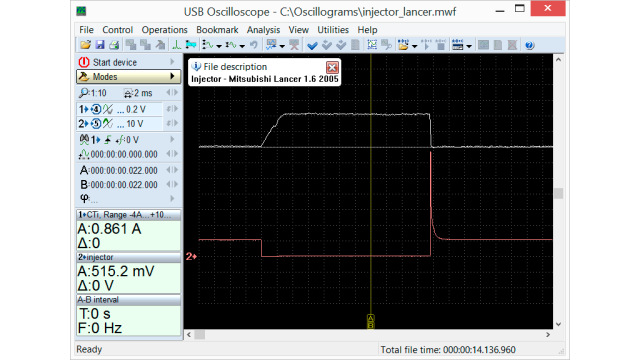 Output voltage and current waveforms from the control circuit of the gasoline injector on Mitsubishi Lancer 1.6 2005, recorded while the engine was at idle. Current waveforms from the control circuit of the diesel injector on Mercedes Vito 115 2.2CDI 2006, recorded during engine start.